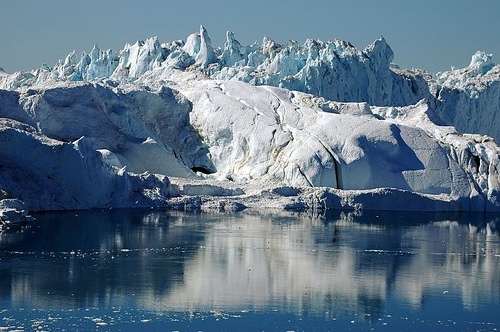 The most popular destination for Americans is the Ilulissat ice fjord, a 45-minute flight from Kangerlussuaq and the site of the fastest retreating glacier in the Northern Hemisphere. A few years ago, the fjord was 25 miles long, but the melting of the glacier has lengthened the fjord to 31 miles, a change that has made it one of Greenland’s most visible examples of climate change. The fjord is full of icebergs, calving from the bordering mountains of ice, and cruises to see the ice crack and fall are popular. Now, we try not to frame everything in the context of carbon offsets, and certainly don't promote reining in your travel to avoid contributing to global warming, but the piece does little to acknowledge the ways this newfound tourism is impacting the area – and helping to further the climate change along. In fact, it goes on to quote Dennis Schmitt, an American explorer who discovered Greenland's Warming Island, and whose view on the subject is slightly depressing. “People sense the Arctic is going to change,” he said. “There is something in human nature that likes to watch things die, a morbid curiosity of human beings." IT was just sent a link to FreeRice, a site sponsored by Poverty.com that's working to make us smarter and help end hunger at the same time. We think that's pretty brilliant, so we felt compelled to pass it along. 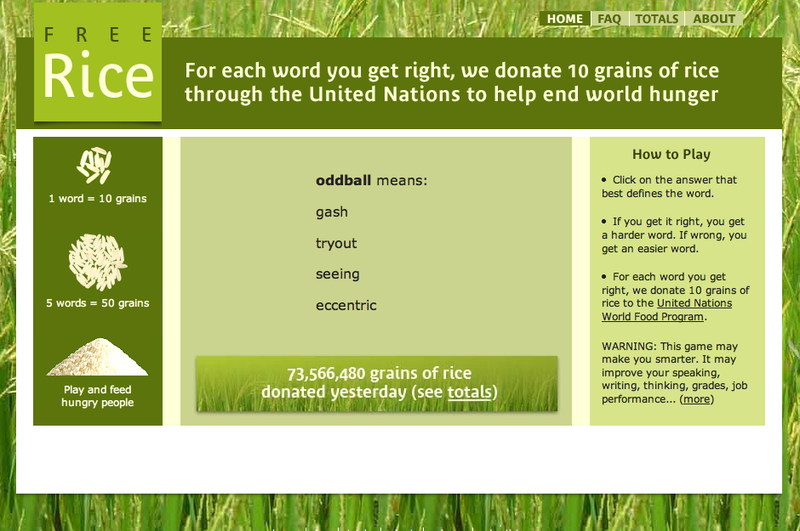 It's a simple vocabulary quiz, but when you answer a question correctly, ten grains of rice are donated to the United Nations World Food Program. In the month since the site's been up, 931,645,600 grains have been donated. We wish this had been around when we were studying for the SAT's. Go, get smart and help feed the hungry. Into the Wild: Tourist Attraction? Chris McCandless, the 24-year-old vagabond who hiked into the Alaskan wilderness alone with a ten-pound bag of rice in 1992, never made it out of the wild, but the abandoned bus where he died of starvation just might—that is, if some Alaskans have their way. About 100 visitors, mostly young men, make the trip to Healy (population 1,000) each year. 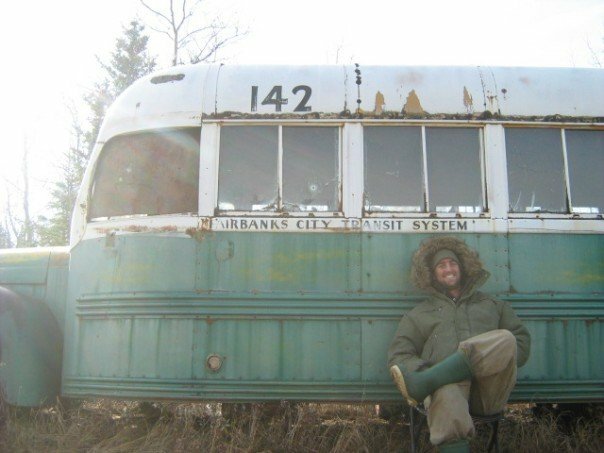 Many making it into the bus shoot videos for posting on YouTube and snap photos for Facebook, often imitating the iconic pose of the skeleton-like McCandless in Krakauer's book, which showed the young man grinning as he leaned against the bus, days before his death. The McCandless pilgrims carve their names into the rusted sides of the bus. Paterson signed his just beside the door. And they leave messages in aged notebooks; [Jon] Krakauer, McCandless' mother and Penn have all left notes. The Costco theory of tourism—Bigger is Better!—often flies in the face of sustainable travel. And unfortunately, it's a trend that's becoming almost as prodigious as the projects it promotes. 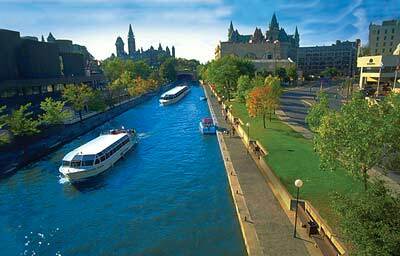 "Not since the 1970s have we seen such epic tourism projects. The spark for much of this about-turn is the success of Dubai, the holiday jewel of the Middle East, that has risen rapidly out of the deserts of the eastern Arabian peninsula and, in just over a decade, become one of the world's highest-profile tourist destinations, luring six million visitors a year." 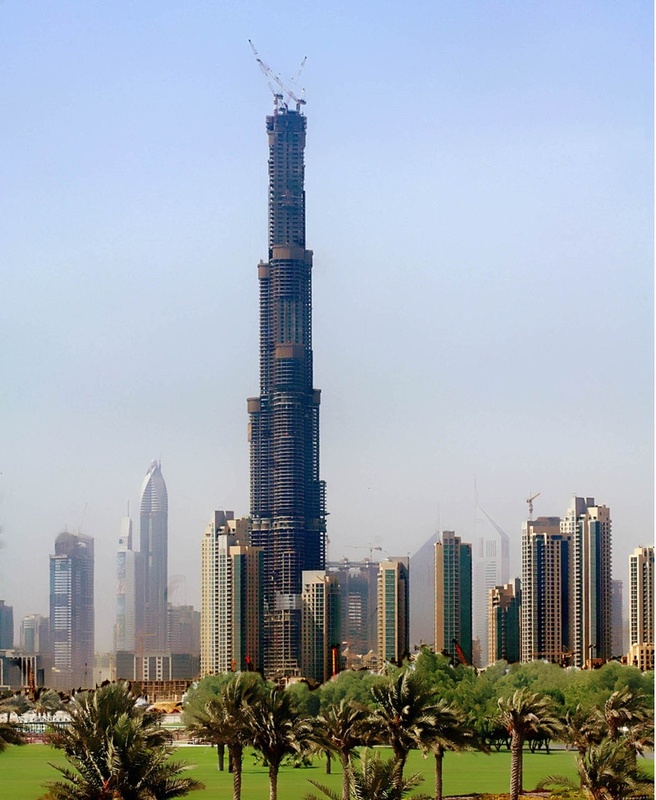 Dubai certainly epitomizes the trend: with its intention to build the latest version of the world’s tallest building, its indoor ski runs, and its plan to build a theme park twice the size of Disneyworld. But it isn’t the only place looking to cash in on this new rash of unnatural, gargantuan tourism projects—there are plans in the works for a monstrous steel and glass pyramid on top of the Alps’ Klein Matterhorn and an artificial sandy beach in Andermatt, Switzerland. Even Iran is stepping up to the plate with its $2.4 billion “Flower of the East” development, set to open on Kish in 2010 with a “seven-star” hotel. 1. My parents were in Houston the day we found out. Their original flight home to Utah was supposed to depart the following day, but Mom called Delta to see if they could get on an earlier flight. With no questions, Delta booked my parents on the first flight out that afternoon, for no change fee. We've made no secret of our love for chocolate, but it's been a while since we dedicated an entire entry to our favorite indulgence. 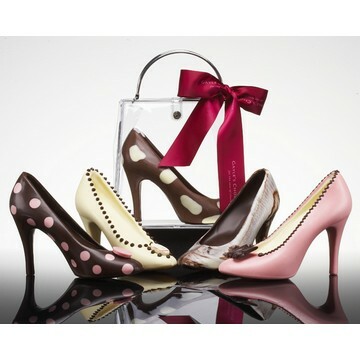 So, we thought to ourselves, what better time to do so than Valentine's Day? 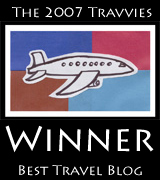 While your devoted bloggers have their fingers crossed that boxes of their favorite hometown cacao products will await them when they check their mail this evening (Purdy's Peanut Butter Bars for Jessie, Idle Isle Almond Cream Toffees for Emily), we have learned (thanks to the glory that is the linkblog known as Growabrain) of some unusual chocolate products that will surely be enjoyed tomorrow in various corners of the globe. Korea: Chocolate-covered seaweed and kimchi. What's in a name? Much, of course. But what's in a nickname often says more. Take Venice, the enchanting Italian tangle of canals and gondolas, as an example. Once called La Serenissima (The Most Serene, a title originally used for the ruling doges), Venice itself has become a nickname for countless cities encompassed by water. Wikipedia lists almost 50 such centers, including Venices of the North (Amsterdam, Ottawa, Stockholm, and St. Petersburg), the South (Tarpon Springs, Florida, and Zakynthos, Greece), the East (Bangkok, Thailand and Udaipur, India) and West (San Antonio, Texas). Some countries single out a specific city with a Venice reference meant to entice prospective visitors (Suzhou, China, and Recife, Brazil, are often marketed with the doges' hometown in mind). "South Korea is the new Hong Kong." 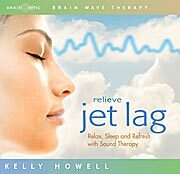 IT was feeling rather energetic today until we started listening to "Delta Sleep" from Kelly Howell's new Relieve Jet Lag CD. Its soothing music layered with "precision-engineered sound waves" put us to sleep at our desks, which we suppose was the point. The two-CD set includes three pieces of music: "Delta Sleep" (60 minutes of Delta waves), "Theta Relaxation" (30 minutes of Theta and Alpha waves), and "Beta Refresher" (30 minutes of High-Beta and Gamma waves). The first two songs are meant to put you to sleep, and they do.